I had been knitting for about 3 years when I discovered Illusion Knitting. After completing one, I knew I had to do more. I completed several of Steve’s patterns including the David Tennant Illusion knit that I made for my best friend, Tabitha, as a Christmas present in 2013. I knew I would be making her another Illusion Knit in 2014, but I wanted to make something more personal for her. I knew she loved a certain photo of herself cosplaying as Han Solo. That was the perfect photo to replicate as an Illusion Knit. 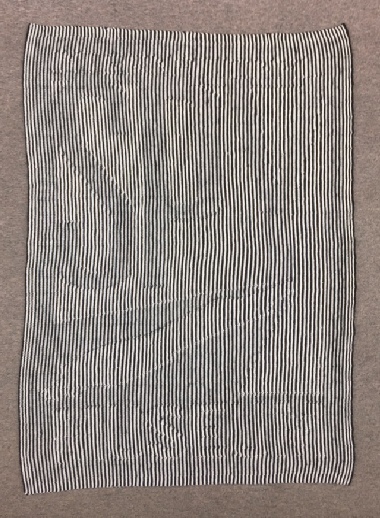 I contacted Steve Plummer and over a month or so, he walked me through the process of making this illusion knit. His help was invaluable and I am so thankful to him for helping me make this gift for my friend. She loved it. This also led to a commission from the International Spy Museum in Washington DC. 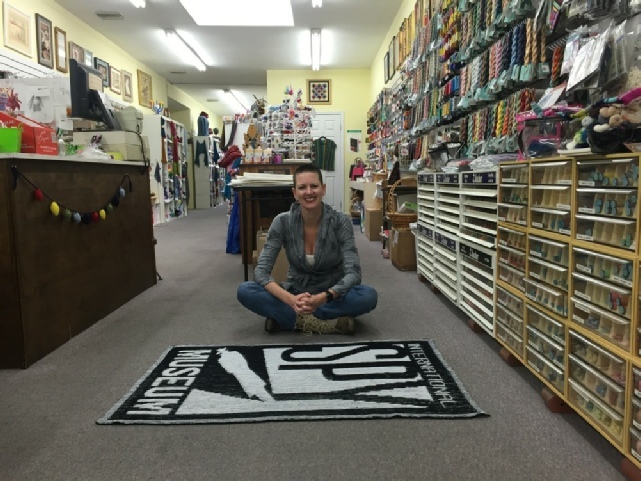 I was asked by the Director of Exhibits to make an Illusion Knit of their logo that will be put on permanent display in an exhibit. I took what Steve had taught me on the previous project and created the Spy Museum Logo myself. I am beyond proud to have a piece of mine displayed in a museum. Thanks again, Steve!